It’s far less obvious though to understand how people use voice search and what they are searching for when they look for content. This is one of the most crucial elements to understand before we can optimize content for voice search. When we search with our voices instead of our fingers, the structure and phrasing used are completely different. Simply put: we talk differently than we type. 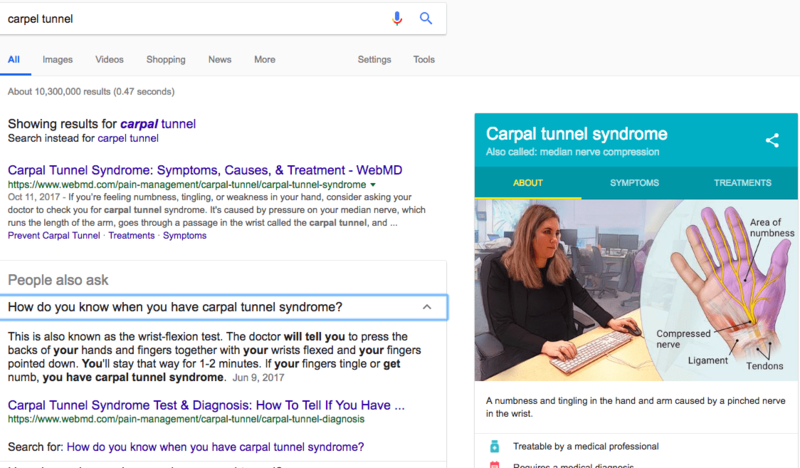 If you’ve ever used one of those dictation services to preserve your wrists and typing fingers, thanks carpal tunnel, you’ll notice how different copy comes out when you dictate with your voice versus type with your fingers. Due to the conversational tone of voice lingo, we’ve seen a huge increase on long-tail keyword phrases, but it isn’t just a matter of optimizing for question-based terms (although, as we’ll discuss later, that is a big component). Semantic search is also a big dimension of voice search, particularly when a series of inquiries are being made. “How old is Bruce Willis now? 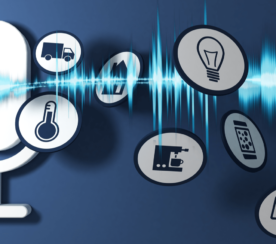 Understanding the intent behind a series of voice searches is a relatively new capability of our devices and one that will help us better create content that answers all of the above, not just the first question asked. This means that when you’re looking to create a new piece of content explaining Bruce Willis’ age, you should also be thinking about answering where he was born, how many siblings he has, if any of them are actors, and additional bio information within that content. If you think like your user, as a human, then you’ll be able to get ahead of their next question and have content already ready for them. Another way people use voice search is to define local information. When users voice search on their mobile devices, they are three times more likely to be looking for local information. This means localized content is also largely impacted by voice and vice versa. 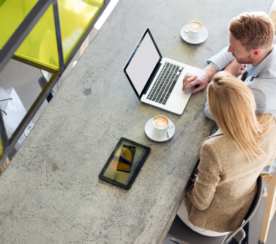 Are you creating local content for your voice searchers or only for those desktop users? 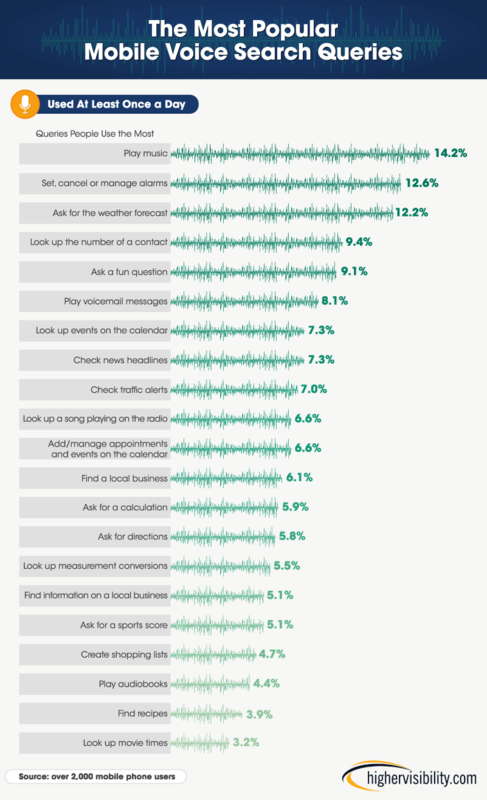 While many of these queries are not true voice searches (setting alarms, checking messages, etc. ), there are a few that are, like searching for local businesses and information, looking for recipes or movie times. They may be at the lower end of the spectrum, in terms of frequency, but remember that there are billions of searches being made; even a small percentage is a sizable number of queries. This data is also still evolving. As the technology improves, voice assistant products become more popular, and people become more comfortable engaging a device in conversation. What we use voice search for now will continue to evolve. Already, we’ve seen it become a handy shopping assistant during the holiday season. Last year, 25 percent of shoppers utilized voice assistants to locate emerging holiday deals and research products. Talk about the many content opportunities for voice searches during the holiday season! Voice Search: What should I get my girlfriend for Christmas? Now that we’ve fostered a good understanding of how people are using voice search and for what, we can look at optimization tips for content. Arguably, the most impactful SEO tip for optimizing for voice search is to incorporate question keyword phrases into blog content and website copy. This is especially true for providing answers to commonly asked questions about your business (remember, information about local businesses is a top voice search activity). This strategy works best if you can manage to rank for Google’s paragraph answer featured snippet. Not only will this do wonders for your overall SEO, including non-voice searches, but many voice assistants will pull from these snippets to answer user queries if available. When striving to rank for question-answer snippets, structure is very important. If you look at the answers that Google chooses for its paragraph snippets, they are typically short, concise answers that include many of the query keywords. You also want to use headings to signal to the search engine that you’re answering a question. This makes it easier for Google and other search platforms to identify and pull that content to create a snippet. Voice search and local SEO are closely aligned with one another. 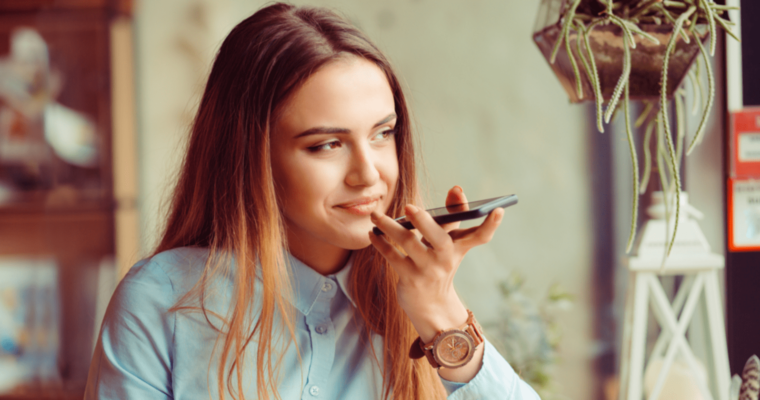 Searching for local businesses info on nearby establishments are two of the most popular reasons for users initiating a voice search. Thus, it stands to reason that following the best local SEO strategies is key to success in winning on the voice search frontier as well. It’s especially important to take full advantage of your Google My Business listing because when people do voice searches with local intent, these devices will look for information from a Google My Business listing first. A complete GMB profile also ensures that all of the information that a potential customer could ever want to know is made available. So, no matter what their query, the answer is immediately available. Add as much content as you possibly can to your GMB profile and make sure all of your local listings are optimized for direct-answer type of information. Voice search is still largely uncharted territory. Users are largely going to dictate how the future of voice search unfolds, so monitoring the behaviors and keywords behind voice searches can help you predict what is coming in the future and how to best create content to satisfy both humans and bots. In order to really understand the data behind voice search, you need to understand your mobile data. Thankfully, plenty of tools offer mobile searching data (including Google Analytics) so you can get a clear picture of how your demographic is digesting content on their mobile devices, which ultimately will help you craft more clickable voice search content. Both on mobile and through voice search, users are requesting a quick answer. Desktop users still prefer the longer version of the information, but mobile and voice searchers need you to get to the point, and fast. This is where shorter content, bulleted content, as well as video and audio really come into play. 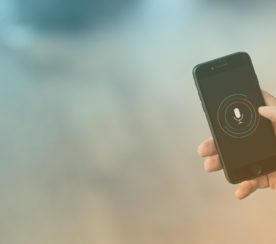 As voice search continues to evolve and become molded by consumer needs, these are going to be important resources for detecting new ways to optimize content for voice search and get your pages noticed by virtual personal assistants.